'MTSU On the Record' guest dis..
NASHVILLE, Tenn. — MTSU professor Charlie Apigian, chair of the Department of Computer Information Systems, was recently named this year’s recipient of the “Community Leader of the Year” award presented by the Nashville Technology Council. The technology advocacy association announced winners of the ninth annual NTC Awards during a Jan. 25 ceremony at the Wildhorse Saloon in Nashville. 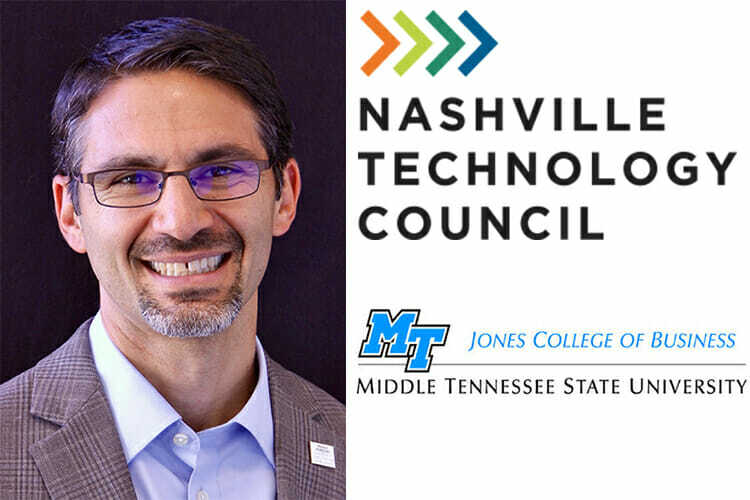 According to the NTC’s website, the event brought together more than 600 attendees, representing more than 155 Nashville technology companies and related organizations. All were present to celebrate this year’s technology champions in 14 categories. For a full list of the winners, go to http://bit.ly/2DKKQeE. MTSU’s Department of Computer Information Systems offers a bachelor’s of business administration in information systems; a master’s in information systems with concentrations in business intelligence and analytics, IT project management, information system security and assurance, and general information systems; a minor in information systems; and an accelerate bachelor’s and master’s program. Brian Moyer, NTC president and CEO, said the awards are a great opportunity to celebrate the region’s tech leaders. “Whether it’s a company, a team, or an individual; a member of the ‘C-Suite’ or a developer; or a community leader or a diversity game changer, the NTC Awards recognize the people that are making Nashville the destination for creative and innovative technology, and contributing to Middle Tennessee’s growth and prosperity,” he said in an NTC release. For more information about Department of Computer Information Systems in the Jones College of Business, go to http://mtsu.edu/cis.